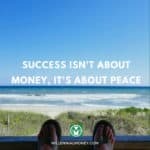 MM Note: This is a guest post from Jillian, who blogs on Montana Money Adventures and is an expert in helping people escape work for short periods of time to pursue their passions. Some things just don’t fit into a 2-week vacation! If you have ever dreamed biking through Croatia, taking a coast to coast road trip, volunteering overseas, or taking a month to brush up on your Spanish in Barcelona, you’ll know the struggle is real. Our vacation days are being pulled in a hundred different directions. We often need to catch a flight to visit friends and family. Summers are full of wedding travel. And if you’ve bought a home, there are big projects that need to be tackled every year. Two weeks of vacation end up being 4 days of stuff we really need to get done, 7 days of family visits, and 3 days for “vacation”. But there are other big dreams we want to tackle while we have the chance. Adventures that don’t fit into the 3 days of time off left over. A mini-retirement is when you strategically save money and plan to take an extended time off of work (could be from 1 month to 6 months or more), so you can follow your passions – whether that’s traveling the world or launching a non-profit. The reality is that if we try to wait till a retirement at 65, we will have missed the window of opportunity for most of our dreams and goals. 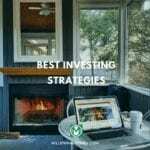 And even if you are following an early retirement strategy to try to fast-track retirement, it will still take some time and there are many things we can only do in our 20’s or 30’s. There are experiences that can only happen when our kids are little. We need to lean into each season of life and create some space to cross items off our bucket list that might not be possible in even 10 or 20 years. You will be using mostly unpaid time off. So you will need to cover your basic expenses plus the cost of your adventure. First, you have to know what your monthly expenses are! 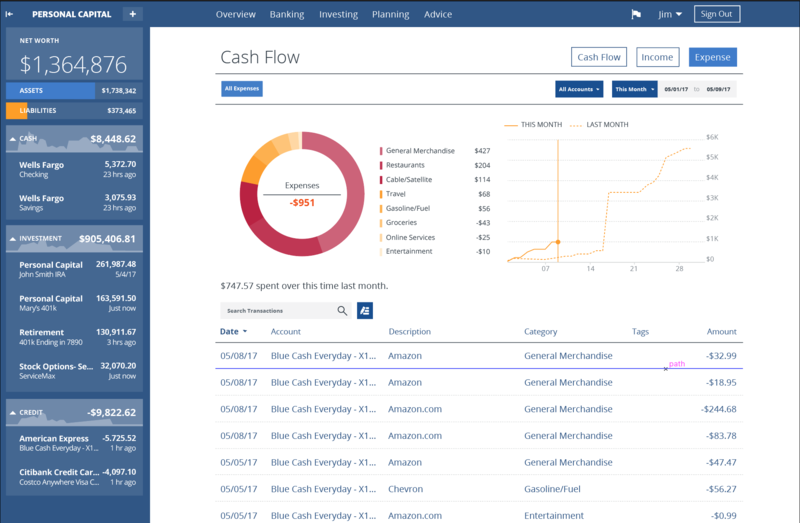 The easiest way to do this is by using an online net-worth and expense tracker – the free one I use is Personal Capital. Then you start a Dream Budget. It’s easy to create. Open up an awesome spreadsheet, and research the cost of each aspect of your month off. Hotel costs, flights, gas, etc. Maybe you just need a month to finish writing a book or grow a side project. What would the costs look like for that? 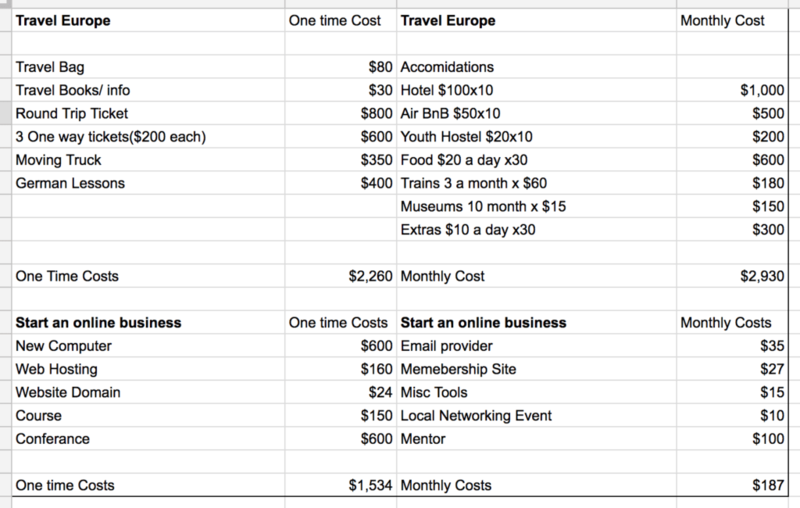 If you want to take a month to travel and promote a book or CD, what are those costs? List out the cost for each element. After you figure out what the total cost will be (basic expenses + dream budget), you can divide that by the number of months you have to save. If you need $6000 in a year, you can find a way to come up with $500 a month. Everytime you pack your lunch or turn down drinks out, you will know exactly what that saving will pay for from your Dream Budget. $30 saved is a night at a campground or youth hostel in Amsterdam. If you earn $50 babysitting or on your side hustle, that can go straight towards a national park pass. $1,000 from a tax return will pay for all your gas costs. You can even find ways to cover some of the costs. Maybe your mom buys you a travel bag for Christmas. Or you start finding credit card offers that will help earn you points towards your flights. If there is a big project you want to tackle during this time away, you can start doing professional trades now so you’ll have the help you need when the time comes. In the months before you actually pitch the idea to your employer, make sure to lay the foundation at work. Even a year before or the next time you are negotiating a raise, Be extra awesome in your work responsibilities and extra helpful to your coworkers. Your coworkers will be helping to cover your work while you are gone, so you’ll want some goodwill built up there. You’ll also want to make sure when it does come time for the Big Ask, it’s not the very first time your boss is hearing about this 1. Compelling 2. Time-sensitive 3. One-time thing. It’s hard to sell the idea of an amazing, once in a lifetime experience, if you’ve never mentioned your interest in it. On the other hand, if your coworkers and boss know how passionate about justice work in India, they might rally behind a month-long volunteer trip there. People love to help others achieve their biggest dreams. It makes us all feel like maybe it is really possible! By “hard no” I mean, you have laid out such a well thought out, compelling, detailed plan (backed by supportive coworkers) that it would be VERY hard for your boss to say no. Consider these two examples. That is a hard no. If you have done all the prep work, how can they say no? Even if it isn’t something they typically offer, a well-planned Big Ask can make you the exception to the rule. Verses this example, which would be an easy no. Um…no. And you might get fired. If you really want to do this, you need to do it right. In reality, everyone will probably get a mini-retirement at some point. If you have your dream nailed down, a budget ready and money set aside, you can jump at the chance. A few months between jobs becomes a perfect opportunity to cross things off your bucket list verses sitting home and binge-watching Netflix. In each season of life, there are opportunities we have to seize or watch them pass us by. My husband and I are on our 5th mini-retirement right now. We have used them to do big road trips with friends, travel through 27 countries, invest and renovate rental properties, adopt kids and take an epic 6-week road trip with our 5 little kids. 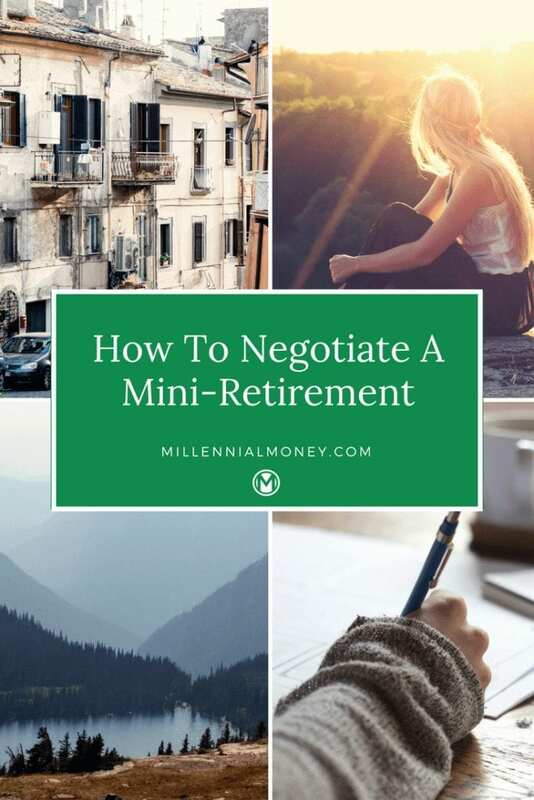 By keeping our expenses low, creating some passive investments, investing in index funds and building a small lifestyle business, we are able to mix in mini-retirements anytime we want now. It didn’t happen overnight! We started with $55,000 in debt. I’m 34 now, and I can honestly say, this is the life I have always dreamed of. Don’t put off the most important things until the end of your life! A month-long mini-retirement is the perfect way to get started. Once you see how this process can work, you’ll find ways to sprinkle mini-retirements into every decade of life. Jillian is a writer, speaker, and mentor helping people chase down their biggest dreams while being smart with their money. She also took that awesome photo of Montana in the post image (bottom left!). 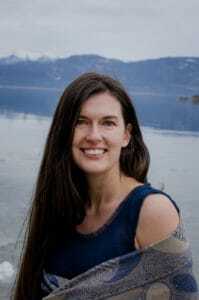 You can connect with her at Montana Money Adventures and grab a free copy of her PDF “How to take a year off every decade” to get started on your journey. Most days you’ll find her in their Montana home, just outside of Glacier National Park, drinking hot tea or on a hike with her family and dog Cheesy Taco. This post really resonates with me. I’ve been wanting to thru hike the Appalachian trail for the last 3 years. I’m 42 now and reached the 1Mil mile stone this year. Although I plan to “retire” when I reach 1.2 to 1.3 Mil, I don’t want to wait that long before I hike. I’ve been working 7 years at the only company that I’ve ever wanted to work for in my entire life. I love my work, love the customer, and get paid well. It’s a hard decision to quit to hike the trail. But this pimple is coming to a head soon. Thanks for the post. I admire you for staying the course and doing the transformation side hustle business work. I know the struggle associated with building a business from scratch. I admire you for having a long-term vision where you desired to be with your side hustle 5 years after launching your internet business. Believe you me good brother…you are really inspiring so many people other than myself you really don’t know. Whatever you do in life….just be yourself and stay humble and give God thanks in all your business success. Great encouragement Jillian. 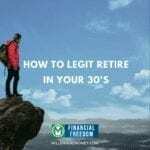 I’m a big supporter of the mini-retirement concept; I’m on my own 1-year mini-retirement right now taking time to spend with my wife and kids while my kids are still young and on developing my writing and coding skills on my blog. 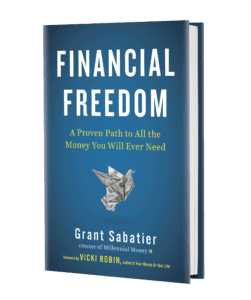 Once you get a clear vision for what you want to accomplish in a mini-retirement, saving and getting there gets a whole lot easier. It takes some bravery to make the leap, but this is your life – you get to choose how you want to live it – and making these once-in-a-lifetime dreams come true on your timeline is the best way to go! Just stumbled across this gem. Big fan of the mini-retirement concept! Planning mine to start in May 2018. I really liked how you touched on every excuse someone could come up with to not try this, especially how to approach your boss for time off. If you haven’t read The 4-Hour Workweek, then you and TIm Ferriss think very similarly!